Citadel of Speelwijk, Citadel of Reverence for the General of the Dutch Indies. As one of the biggest and the oldest mosque in the heart of the city of Pangkalpinang, Jamik Mosque located very near to the hotel and takes only 5 minutes. Within walking distance, the large square in the center of Pangkalpinang is a meeting point and a perfect place to grab a cup of hot soy milk or relax with the locals. Housed in a building spectacularly engraved with Arabic script, Beit al Quran (House of Quran) showcases a fascinating collection of Quranic manuscripts. The exquisitely designed Bahrain National Theatre is the first of its kind in the Kingdom and a cultural icon. The Bahrain National Museum presents a rich collection of artifacts covering over 6,000 years of Bahrain history, with archaeological exhibits and two halls dedicated to local customs and traditions featuring clothing, housing, rituals and traditional crafts. The grand Al Fateh Mosque is Bahrain’s largest place of worship and one of the largest mosques in the world. Nestled in the picturesque west coast village of Matakohe, Northland, The Kauri Museum is one of New Zealand's most amazing theme museums. Thousands of visitors visit this internationally acclaimed Museum yearly. Peter R°s Glass Gallery is on the waterfront in Devonport Auckland, set amongst the cafes, galleries , boutique shops and heritage architecture. Come and learn about how the first Polynesian people make the epic migration to Aotearoa, the early European exploration and settlements of New Zealand, right through to our modern day yachting success. The Museum of Transport and Technology (MOTAT) offers visitors a fun, interactive and educational experience based on New Zealand's transport, technology and social history. The Glenbrook Vintage Railway is a volunteer built and operated tourist railway dedicated to keeping alive New Zealand's railway heritage, and occupies a 6km portion of the old Waiuku Branch railway which opened in 1922 and provided a valuable but largely unprofitable service until its closure in 1968. Located in the center of Singkawang which is one characteristic and the forerunner to the establishment of Singkawang. Garuda Wisnu Kencana cultural park offers a destination that will include a massive statue, music and entertainment in the ampitheatre, panoramic views across Bali as well as handicraft and souvenir shops. Pura Luhur Uluwatu is one of Bali’s temples (Kayangan Jagat) and guards Bali from evil spirits. Dedicated to the spirits of the sea, it’s an architectural wonder in black coral rock, beautifully designed with spectacular views. Thay Hin Bio Temple is located at Jalan Kakap in Teluk Betung. This temple was constructed by Po Heng in 1850, after the massive eruption of Krakatoa. Is another heritage listed site of Yogyakarta that once upon a time was used as a bathing complex for the Royal Family. Sultan Palace which is located in the center of Yogyakarta, is the symbol of Yogyakarta and the symbol of Yogyakarta Kingdom. It has also become a favorite destination for travelers who visit Yogyakarta. The people of Yogyakarta believe that Tugu Jogja is a magical imaginary line which connects Parangtritis beach, Sultan Palace, and Merapi Mountain. Tugu Jogja is also known as De Witt Pal (Tugu Pal Putih) because of its color and memorable design. Another Temple which also has been listed on UNESCO World Heritage is located in Central Java, Borobudur Temple. The temple has become part of The Seven Wonders of the World, Borobudur Temple is 39.7km from Swiss-Belhotel Yogyakarta, and takes around 1 hour to get there. 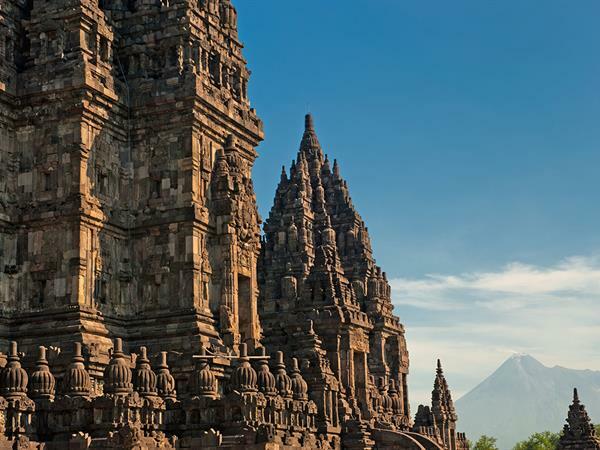 Prambanan Temple is listed on the UNESCO World Heritage list and is one of the biggest Hindu Temples in Indonesia. Prambanan Temple is one of the most popular destinations for both domestic and overseas tourists. A majestic structure dating back to the 11th century. The temple sits precariously atop a steep cliff 70 metres above the. Tanah Lot Temple sits on a rock formation surrounded by sea. This 16th century temple is associated with Balinese mythology as one of seven temples that form a ring in southwest Bali. Auckland Art Gallery Toi o Tāmaki is the principal public gallery in Auckland and has the most extensive collection of national and international art in New Zealand. It frequently hosts international exhibitions. Auckland War Memorial Museum is New Zealand’s first Museum. It showcases the story of New Zealand, its place in the Pacific and its people. The museum is a war memorial for the province of Auckland and holds one of New Zealand’s top three heritage libraries. It has pre-eminent Māori and Pacific collections, significant natural history resources and major social and military history collections as well as decorative arts and pictorial collections. The Auckland Harbour Bridge is an eight-lane box truss motorway bridge over the Waitemata Harbour, joining St Marys Bay in Auckland with Northcote in the former North Shore City, New Zealand. Every year Eden Park hosts over half a million local and international sports fans and patrons at matches and functions. For over a hundred years Eden Park has been the home of Auckland Cricket and Auckland Rugby. It is a history full of rich sporting moments. The Sky Tower has stood tall as an icon of Auckland’s sky line for almost 19 years. It’s an exciting hub of adrenaline activities, superb dining and breathtaking views. If you’re visiting Auckland for just one day, then a trip up the Sky Tower is a must. SkyCity Auckland Casino is open 24 hours a day, seven days a week for non-stop fun and excitement. Wrapped up in one magnificent venue you will find the world’s most popular casino games, fantastic live entertainment and great food and bar offerings. The Ullen Sentalu Museum is a Javanese culture and art museum located in Kaliurang highland, Yogyakarta, Java, Indonesia. The museum displays relics and artifact from royal houses and kratons of Java, such as Yogyakarta, Pakualam, Surakarta, and Mangkunegaran. Candi Prambanan or Candi Rara Jonggrang is a 9th-century Hindu temple compound in Central Java, Indonesia, dedicated to the Trimurti, the expression of God as the Creator (Brahma), the Preserver (Vishnu) and the Destroyer (Shiva). The Bogor Palace (Indonesian:Istana Bogor, Dutch:Het Paleis te Buitenzorg) is one of 6 Presidential Palaces of Indonesia, it is located in the city of Bogor, West Java. The palace is noted for its distinctive architectural, historical, features, as well as the adjoining botanical gardens. Istana Bogor was opened to the public in 1968 to public tour groups (not individuals), with the permission of the then President of Indonesia, Suharto. The number of visitors annually is approximately 10,000 people. The gardens of the palace have an area of 284,000 square metres (28.4 hectares). Bank Indonesia Museum (Indonesian Museum Bank Indonesia) is a bank museum located in Jakarta, Indonesia. It is officially founded by Bank Indonesia and was opened on 21st July, 2009. The museum is housed in a heritage building in Jakarta Old Town previously the first headquarters of the De Javasche bank, the central bank of Dutch East Indies. Saung Angklung Udjo (SAU) is one–stop cultural workshop, consists of : performance venue, bamboo handicraft centre, and bamboo instrument workshop. Apart from that, SAU has an honorable function as an educational laboratory and training centre to preserve the Sundanese culture – Angklung in particular. Gedung Sate is a neo-classical building mixed with native elements. Once the seat of the Dutch East Indies department of Transport, Public Works and Water Management, it now serves as the governor's office of the West Java province in Indonesia.